I paint on Hahnemühle Post Card so often I just assumed that I’d grabbed one in the middle-of-the-night… so sad after finishing to send off that it wasn’t a postcard! I wondered why the watercolor paper was lifting… duh! Still, I love this one! From a photo by Mary Lou McCambridge. 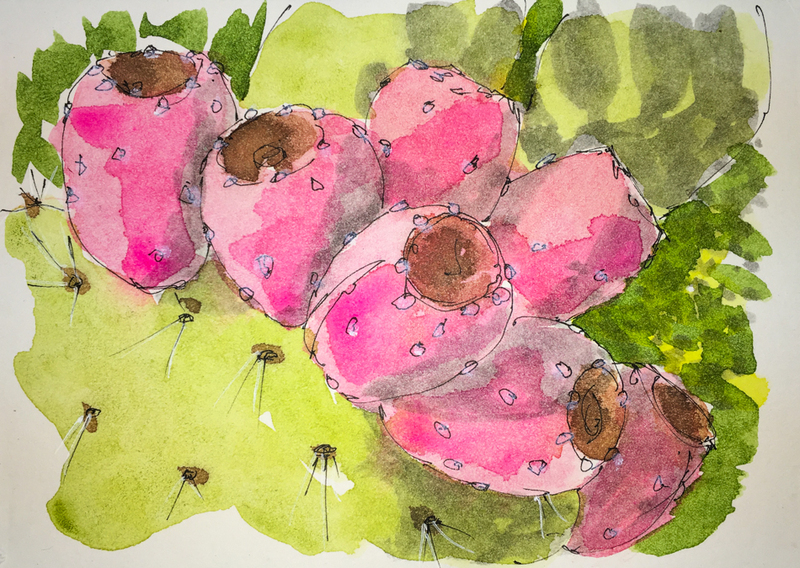 This entry was posted in memory, painting, pen & ink, watercolor and tagged #middleofthenight, cactus, Daniel Smith watercolors, floral, flower, Hahnemühle Post Cards, Hahnemühle Postcards, Platinum Carbon pen, prickley pear cactus, watercolor. Bookmark the permalink. These are just beautiful Katie!